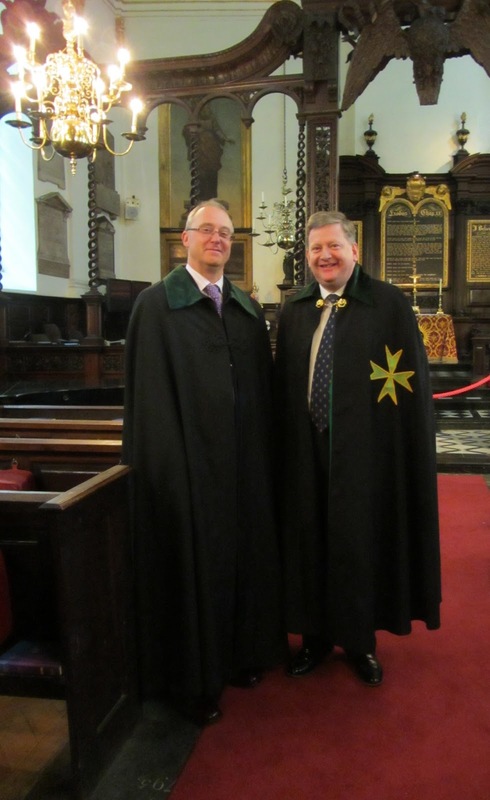 On Saturday May 11th the Grand Priory held its annual Chapter Meeting in the Church of St Margaret Lothbury in the City of London. 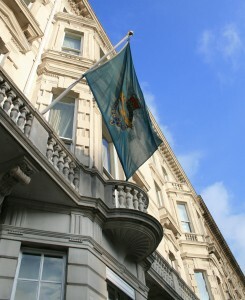 In the evening the Grand Prior hosted a Chapter Dinner in the Royal Air Force Club in Piccadilly for members & guests. After Dinner Major Kevin Tuhey, KLJ, spoke powerfully of the sacrifices made by the young airmen of the RAF during the Second World War. This was especially poignant as we were meeting the RAF Club. The Royal Air Force Club, Piccadilly. After dinner members & guests repaired to the Cowdray Room for a convivial 'Stirrup Cup'.